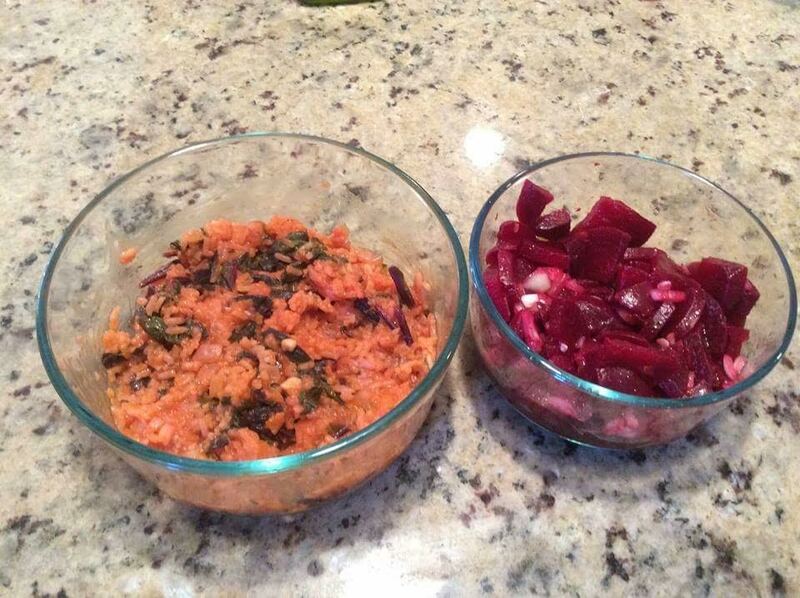 TheArmenianKitchen.com : One vegetable; two recipes – or - what to make with fresh beets! One vegetable; two recipes – or - what to make with fresh beets! Through the magic of FaceBook, I reconnected with a person I knew growing up, Elaine Cherekjian (now Wolfe). She was probably a teenager the last time we saw each other; I would have been somewhere in my 20’s. Although she was related to my late aunt, Arpie Vartanesian, Elaine and I weren’t related to each other. In her first FB message to me, Elaine mentioned that her paternal grandmother, Rose Boyajian Cherekjian, was a wonderful cook, but none of her recipes were written down; they were all stored in her head, and all measurements were either a pinch, dash, or eye-balled (achkee chop). Sound familiar? I told Elaine she wasn’t alone. Most of our grandmothers’ recipes weren’t written down. A sincere 'Thank You' goes out to Elaine (and her grandmother), for sharing these recipes with us! Mix everything together. Add the water last. Cook on high and then lower quickly when the pot gets hot (must watch the pot or else it will scorch the bottom of the pot). Simmer on low until rice is done about 20-30 minutes. Stir once about 10 minutes into cooking...it sometimes sticks to the bottom. Serve warm or cold. Elaine stated that her grandmother used to add the garlic after the rice mixture was cooked. Since Elaine likes her garlic a little more subtle, she cooks it. Directions: Mix all ingredients together. That’s it! Place the beets in a large saucepan and add water to cover and the lemon juice or vinegar. This will help to keep the beets from bleeding. Bring to a boil, reduce heat and simmer until tender, about 45 minutes to 1 hour. Place pot under running cold water; rinse until beets can be handled. The skins can now be easily peeled off the beets. I take it the rice is supposed to come out "soupy"? Otherwise, that's a heck of a lot of water for half a cup of rice!